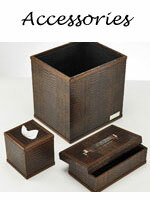 Paolo Guzzetta Firenze introduces a new line of handmade Luxury Office Accessories. 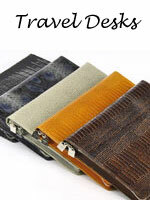 The collections transform traditional luxury desk accessories to highly functional works of art. 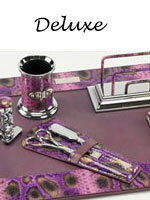 Each luxury leather desk set and office accessory is individually hand-crafted in Italy. The leathers are richly textured and the colors are vibrant. 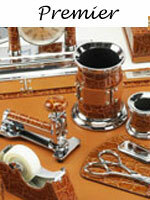 Handmade twelve-piece luxury leather desk set collections. Handmade six-piece luxury leather desk sets from Italy.